Raspberry Pi is the name of a series of single-board computers made by the Raspberry Pi Foundation, a UK charity that aims to educate people in computing and create easier access to computing education. The Raspberry Pi launched in 2012, and there have been several iterations and variations released since then. The original Pi had a single-core 700MHz CPU and just 256MB RAM, and the latest model has a quad-core 1.4GHz CPU with 1GB RAM. The main price point for Raspberry Pi has always been $35 and all models have been $35 or less, including the Pi Zero, which costs just $5. All over the world, people use Raspberry Pis to learn programming skills, build hardware projects, do home automation, and even use them in industrial applications. 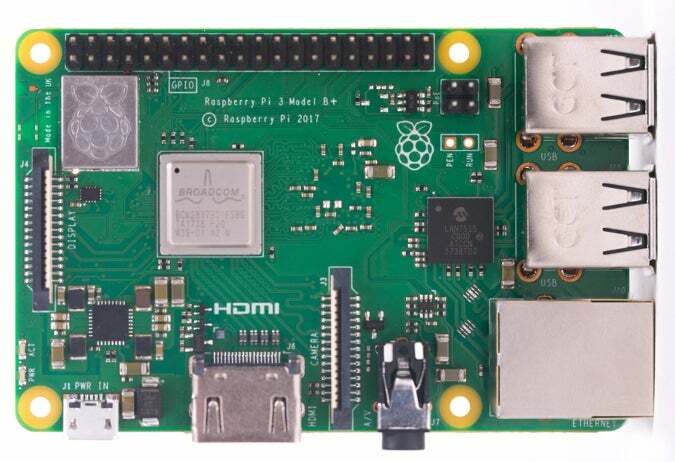 The Raspberry Pi is a very cheap computer that runs Linux, but it also provides a set of GPIO (general purpose input/output) pins that allow you to control electronic components for physical computing and explore the Internet of Things (IoT). 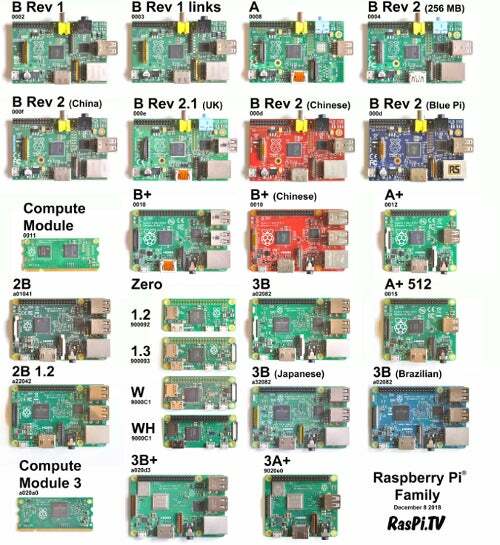 See Getting started with Raspberry Pi and download the Raspberry Pi cheat sheet. What Raspberry Pi models have been released? There have been three generations of Raspberry Pis: Pi 1, Pi 2, and Pi 3, and there has generally been a Model A and a Model B of most generations. Model A is a cheaper variant and tends to have reduced RAM and ports like USB and Ethernet. The Pi Zero is a spinoff of the original (Pi 1) generation, made even smaller and cheaper. If you want to know which Pi is right for you, see Which Raspberry Pi should you use for your project? What's the Raspberry Pi Foundation? The Raspberry Pi Foundation works to put the power of computing and digital making into the hands of people all over the world. It does this by providing low-cost, high-performance computers that people use to learn, solve problems, and have fun. It provides outreach and education to help more people access computing and digital making—it develops free resources to help people learn about computing and making things with computers and also trains educators who can guide other people to learn. Code Club and CoderDojo are part of the Raspberry Pi Foundation, although these programs are platform-agnostic (not tied to Raspberry Pi hardware). Raspberry Pi promotes these clubs and helps grow the network around the world in order to ensure every child has access to learning about computing. 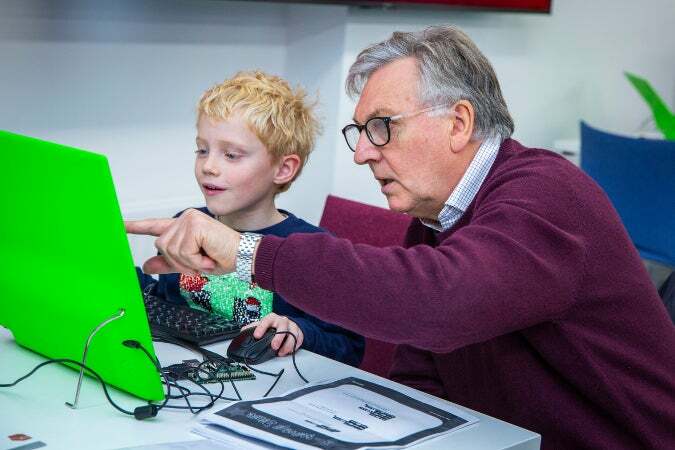 Similarly, Raspberry Jams are Raspberry Pi-focused events for people of all ages to come together to learn about Raspberry Pi and share ideas and projects. Is the Raspberry Pi open source? The Raspberry Pi operates in the open source ecosystem: it runs Linux (a variety of distributions), and its main supported operating system, Raspbian, is open source and runs a suite of open source software. The Raspberry Pi Foundation contributes to the Linux kernel and various other open source projects as well as releasing much of its own software as open source. 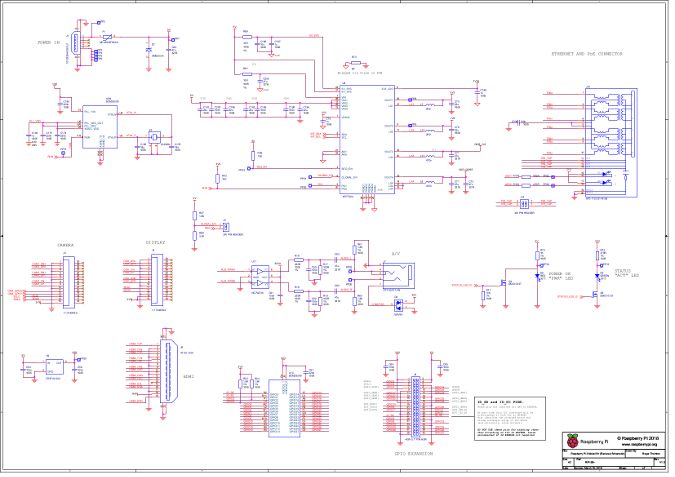 The Raspberry Pi's schematics are released, but the board itself is not open hardware. The Raspberry Pi Foundation relies on income from the sale of Raspberry Pis to do its charitable work. Some people buy a Raspberry Pi to learn to code, and people who can already code use the Pi to learn to code electronics for physical projects. The Raspberry Pi can open opportunities for you to create your own home automation projects, which is popular among people in the open source community because it puts you in control, rather than using a proprietary closed system. Also, see these 5 projects for Raspberry Pi at home and 5 great Raspberry Pi projects for the classroom. 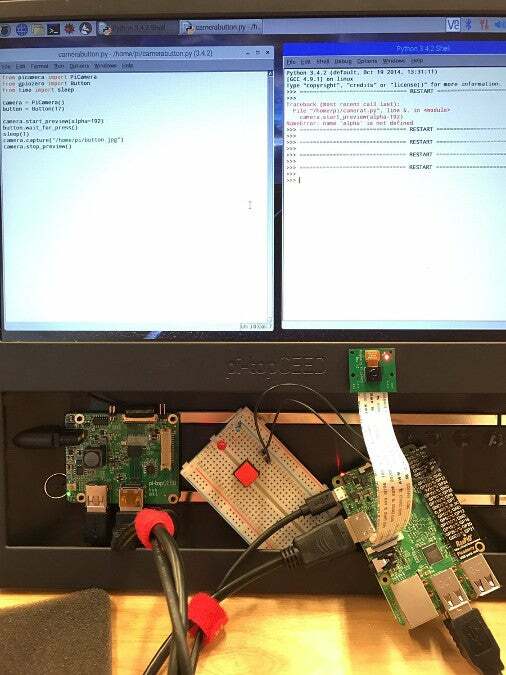 Want to read more Raspberry Pi articles? And finally, don't miss the Top 10 Raspberry Pi stories of 2018.